Restricted in France at 472.5 kg MTOW, the A22L2 was developed and certified at 550.00 kg MTOW. It may be equipped with a USH 52 S cell parachute, certified for a mass of 520.00 kg. With an aluminum structure, the A22L2 has wings and rudders, with leading edges and fixed planes (vertical and horizontal) boxed aluminum. The Diatex EV3 1500 fabric is renowned for its excellent durability. The fuel supply is provided by two tanks with a total capacity of 89 liters consumable, which feed by gravity the engine fuel pump. Firmly seated on its tricycle landing gear, cushioned by the main blade section and a hydraulic damper for the front wheel which is also combined, the A22L2 is equipped as standard with 600 * 6 wheels (Tundra wheels available as an option). This ultra-light knows getting off the rough courts, we can even say that it plays! 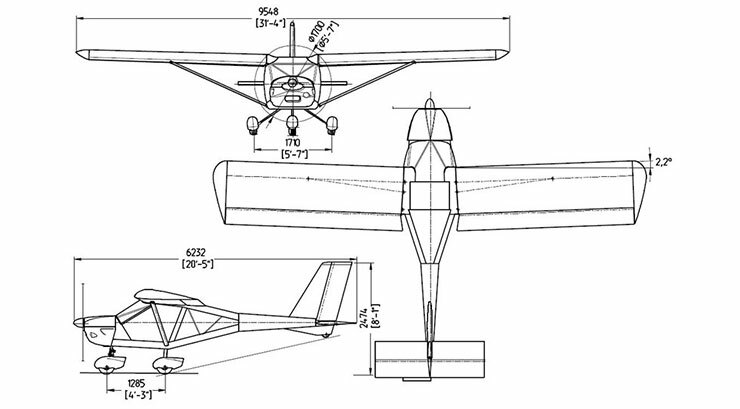 In its basic version, the A22L2 is powered by the famous Rotax 912 engine in 80 hp version. This reputable and economical engine contributes greatly to the very low operating cost of the A22L2. 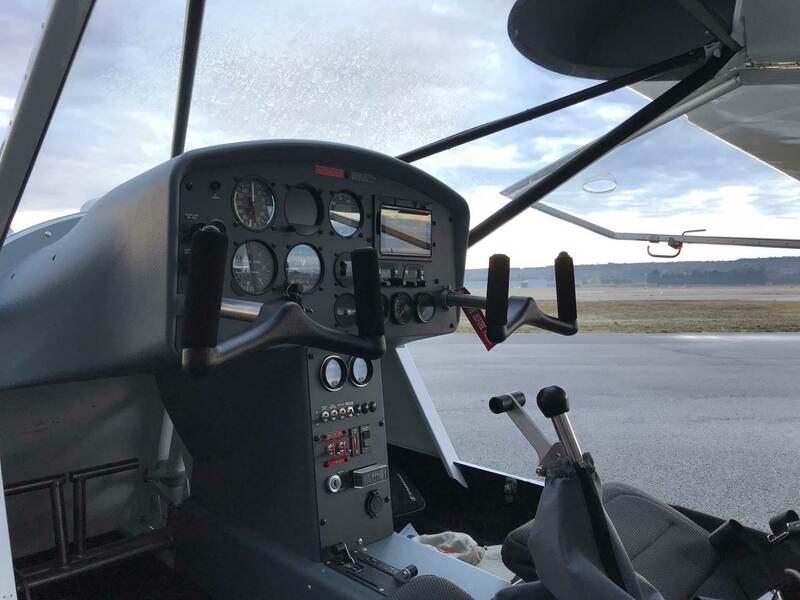 For more demanding uses such as mountain flying, glider towing, streamer towing, or float operation, 100 hp Rotax 912ULS and iS (injection) engines are optional. The propeller equipping the A22L2 is the excellent Kiev Prop tripale with adjustable ground pitch. Also available as an option, In three-bladed E-PROPS propeller, or three-bladed DUC propeller. On the engine side (and optionally), the A22L2 can be equipped with a DIGI EMS engine monitoring / indication system proposed by Kanardia. In addition to a precise and direct reading of the engine data, the DIGI EMS can display the intake pressure, the amount of fuel contained in the tanks, the battery voltage, the OAT, … depending on the sensors installed. In terms of avionics, the aircraft is equipped with a VHF Trig TY91 8.33 Khz. Available as an option: a two-way intercom system with independent squelch / volume control, as well as a TRANSPONDER mode S Trig TT21 etc. 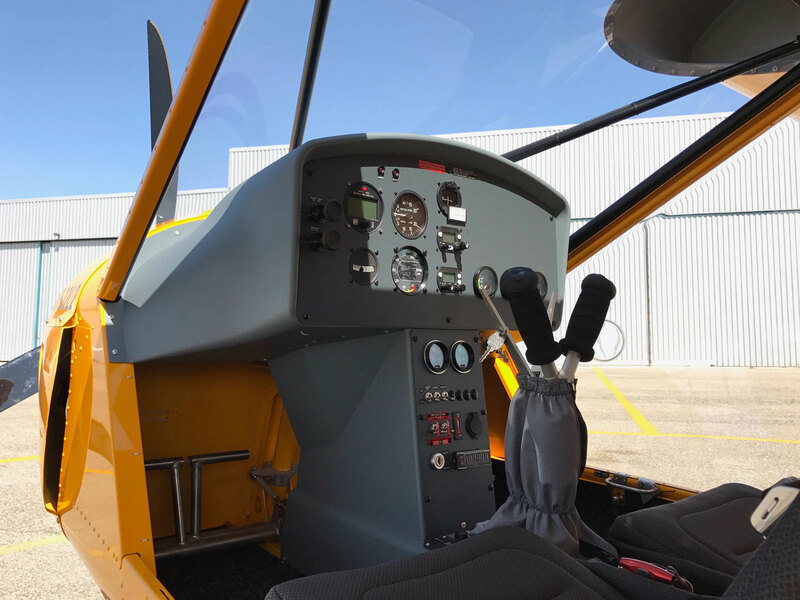 The A22L2 can also be equipped with the Dynon range of equipment (including the SkyView system with its PFD, MFD and autopilot), or Kanardia equipment (like the NESIS III for the PFD part, but also the traditional analogue instruments / digital or the artificial horizon).